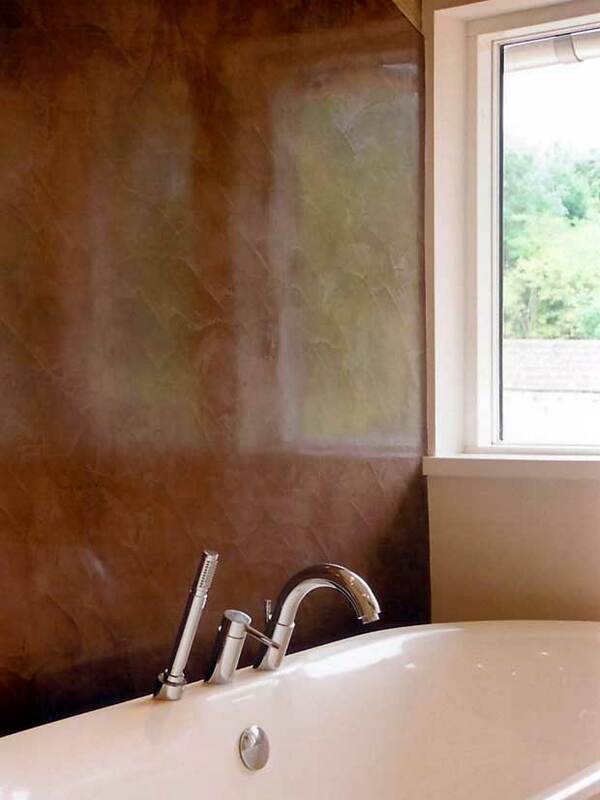 Venetian plaster is safe to use in areas where it will be exposed to an occasional splash of water, so it’s safe to use for some bathrooms – like this one. 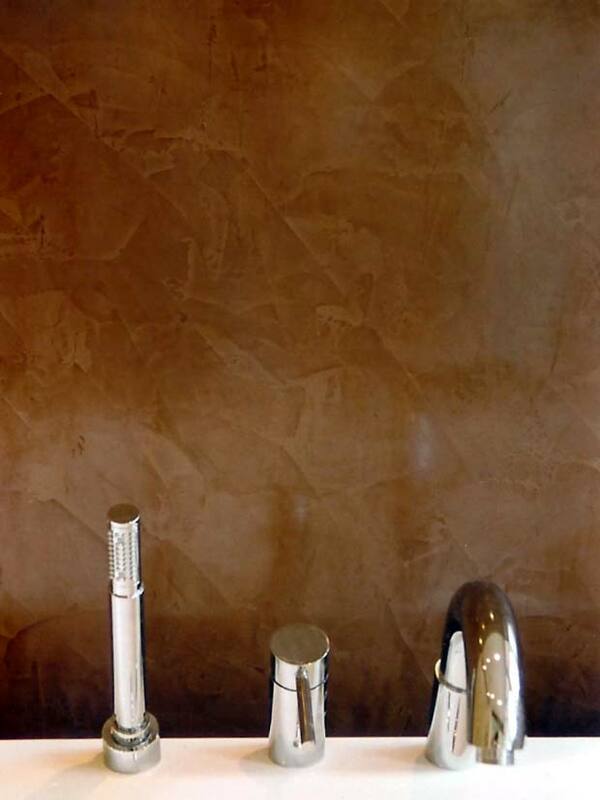 The bespoke chocolate brown colour with its distinctive veining brings an opulent, leather-like texture to this luxury bathroom. Being positioned close to a source of natural light, the lustre on this polished Venetian plaster lightens the room and augments the overall sense of space.